Mathematical Methods in Science and Engineering, 2nd edition | Free eBooks Download - EBOOKEE! Posted on 2018-05-17, updated at 2018-06-06, by perica123. 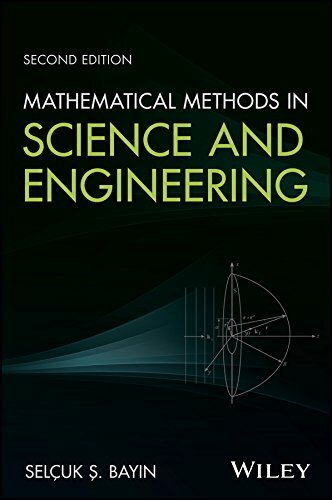 SelÃ§uk S. Bayin, "Mathematical Methods in Science and Engineering, 2nd edition"
Mathematical Methods in Science and Engineering, Second Edition, provides students and scientists with a detailed mathematical reference for advanced analysis and computational methodologies. Making complex tools accessible, this invaluable resource is designed for both the classroom and the practitioners; the modular format allows flexibility of coverage, while the text itself is formatted to provide essential information without detailed study. Highly practical discussion focuses on the how-to aspect of each topic presented, yet provides enough theory to reinforce central processes and mechanisms. 2011-10-18Jean Gallier, "Geometric Methods and Applications: For Computer Science and Engineering, 2nd Edition"
No comments for "Mathematical Methods in Science and Engineering, 2nd edition".